Collection of game ready low poly animals. 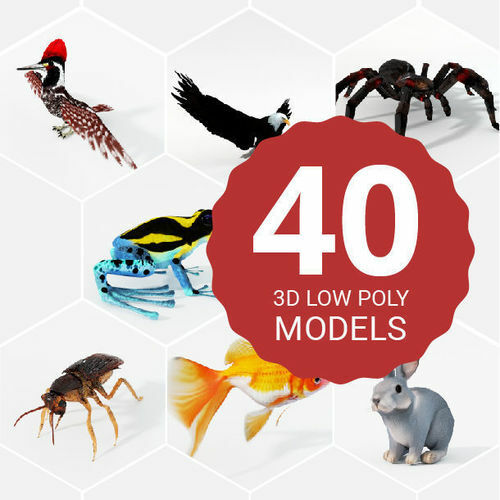 It contains 40 low poly 3d animals models. Models includes high textures with corresponding maps: Color Maps, Normal Maps, Specular Maps, Displacement Maps. GENERAL: Easy editable. Uv mapped. Models is fully textured. Obj, 3ds, fbx, blend, ma files may need textures adjusted or added depending on the program there imported into.